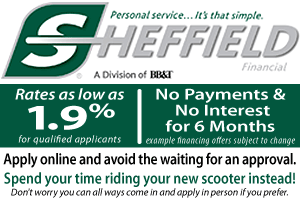 Sportique Scooters was founded by Colin Shattuck, Adam Baker and Dustin Gabel after the trio began amassing a client base through word-of-mouth fixing old scooters. Adam and Colin met through the Pub Scouts Scooter Club while Dustin came from Fun and Games S/C in Boulder. They pooled at their resources and rented an old gas station on what Westword referred to as “a remote corner in Northwest Denver” at 32nd Ave and Pecos St. The little Sinclair station was in poor repair and it sat on an unfenced, oil-soaked gravel parking lot. Together the three toiled for four months, cleaning, painting and renovating the building. 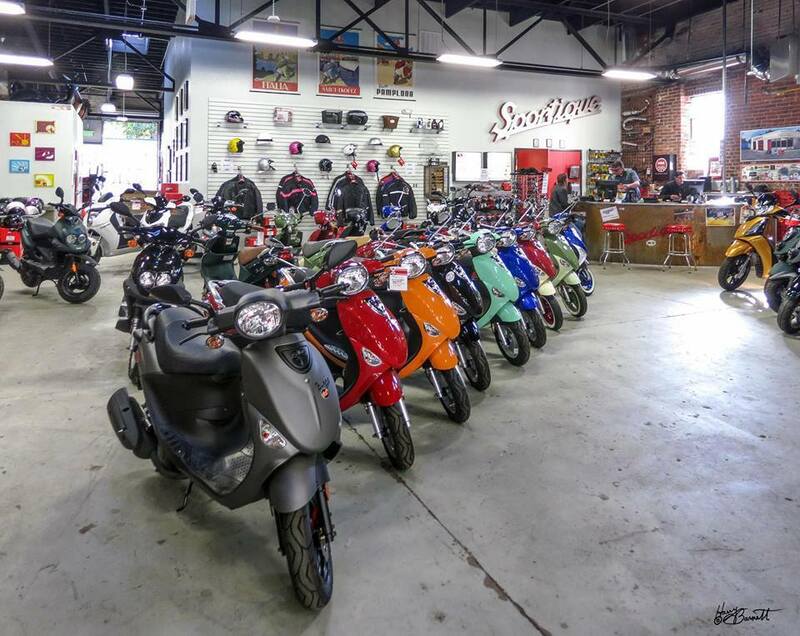 Sportique Scooters opened on April 1, 1998 and became one of only a small handful of “scooter only” shops in the USA. Colin’s brother Pete opened our original Boulder location six years later at the corner of 28th and Spruce. A few years later Colin’s high school buddy Jarrod Stuhlsatz approached the guys about opening a third location in Colorado Springs. In 2006 Colin published a book titled “Red Eyes, Whitewalls and Blue Smoke, the story of scooters in America”. He has also been instrumental in organizing the Mile High Mayhem scooter rally which has taken place each July for the past 20 years.